Last year at this time, we featured Roxley Game Laboratory in our Santorini game overview. That game, designed for two players was a huge hit both in hobby and mass market gaming communities. At the end of the article, we hinted about rumors of a dice-based game from them and left it at that. 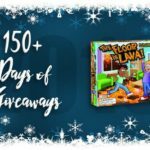 Well, here we are a year later, including Dice Throne Season One game in our guide to dice games! 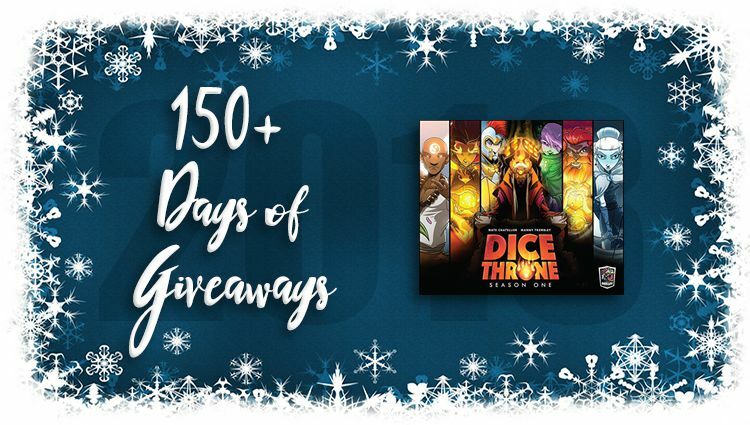 Since we love dice and dice games, we’re extra excited to say one of you will be able to add Dice Throne Season One to your game collection! But you can’t win unless you enter. Right here, right now. Okay, not right now. You can enter every day until it closes. Whether you’re a fan of dice games or want to try something new, here’s your chance! D&D is my favorite. Shiny dice! One with different character abilities so there’s asymmetric play. I love a good dungeon crawler! I really like paintball, but I’ve been wanting to try archery tag! Minis games with good theme and mechanics. Wolfenstein computer game. It’s old but fun! Rock Em Sock Em Robots, LOL!!! Can’t wait for Season 2 to arrive. Dice, things on a map, and cooperative (or at least teams). Games for age 8 and up. Hard to say I play all types. Deck/Dice building, co-op mostly. Battleship! Can’t beat the classics. Battleship would probably be my favorite! So many good ones! D&D is my fav combat game at the table.